(Kathmandu, 15 September 2017) In 2016, natural disasters such as floods and earthquakes forced more than 24 million people globally to leave their homes. This level of disaster displacement and environmental migration poses significant regional challenges in the 21st century. To discuss and address these challenges, a two-day regional workshop ended today at the ICIMOD headquarters in Kathmandu. 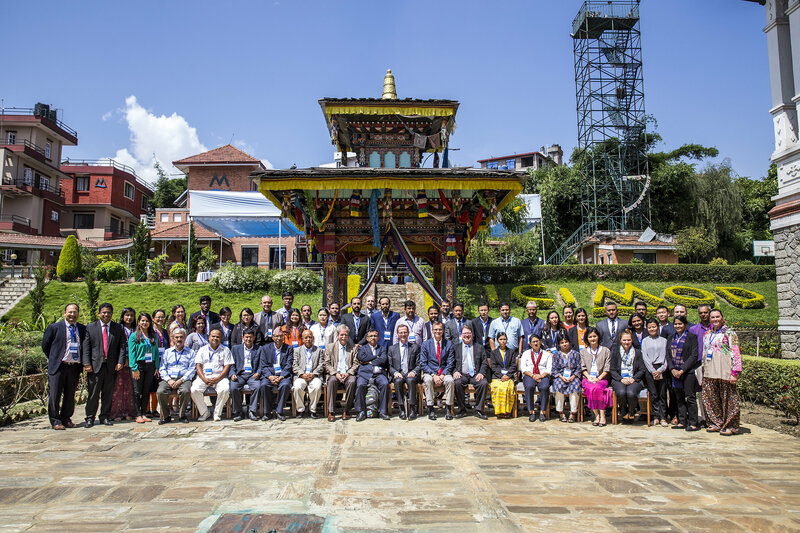 The workshop – entitled ‘Human Mobility in the Context of Climate Change Adaptation, Disaster Risk Reduction, and Sustainable Development Goals (SDGs) in the Hindu Kush Himalaya’ – brought together more than 30 policy makers and experts from Bangladesh, Bhutan, Myanmar, Nepal, and Pakistan. The forum provided a platform for government officials to share their experiences and learn how to address human mobility, including displacement and migration, in national policies. The workshop acknowledged that the adverse impacts of climate change are leading to increased frequency and intensity of disasters, and these impacts expected to be disproportionately forceful in developing countries, especially among the poor and vulnerable populations. People will respond to these impacts with a combination of strategies, including mobility. Human mobility manifests in various forms in communities affected by disasters and environmental change: evacuation, temporary or protracted displacement, migration as adaptation, internal or cross-border movement, planned relocation and other types. The workshop concluded with recommendations to integrate human mobility provisions in national policies and programmes to implement their respective countries’ international commitments regarding climate change adaptation, disaster risk reduction, and the Sustainable Development Goals. The workshop was hosted jointly by the Ministry of Population and Environment (MoPE) of the Government of Nepal, International Centre for Integrated Mountain Development (ICIMOD), International Organization for Migration(IOM), Nepal Institute of Development Studies (NIDS), and Platform on Disaster Displacement (PDD). National-level workshops in the coming months will follow-up on the recommendations elaborated in Kathmandu.